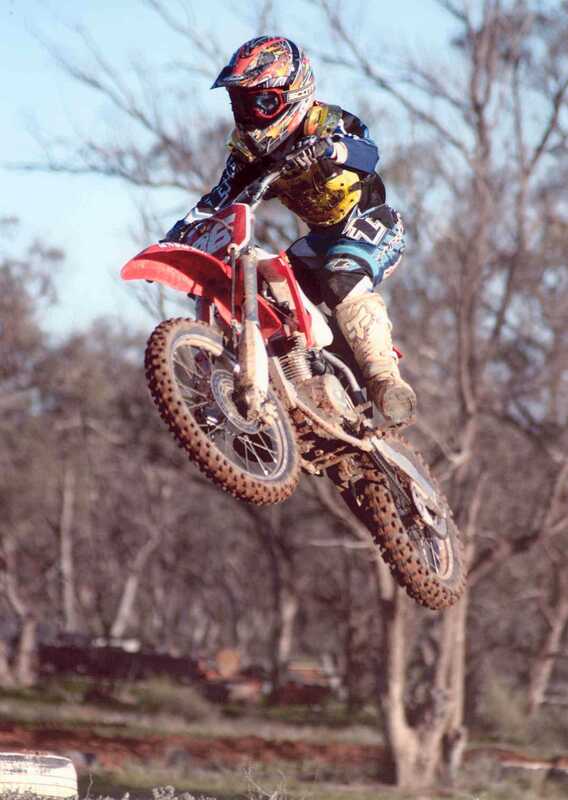 Taylor raced the Honda CRF100 in 2003 in the Thumper X Series, Victorian Junior Motocross Titles, Northern Region Motocross Titles and many other events to consistant podium finishes. Picture by Kendall Jennings. Check out the Kajx website. Taylor is racing the ACS Racing BBR150 as well as his BTX KTM SX85 in 2004.